I was perusing the newly revised edition of the Waldorf Astoria Bar Book that my in laws gave me this past Christmas, when I ran across a tipple that looked rather promising. I, to again reiterate, am not a martini fan, so when I found a gin and vermouth-based cocktail I thought there was some promise. In looking into the backstory on the Ideal Cocktail it seems that it first appeared in 1917 in Hugo Ensslin’s Recipes for Mixed Drinks, which has the distinction of being the last major book on cocktails published prior to prohibition. His version includes 3 dashes of Maraschino liqueur and a vague reference to a small piece of grapefruit. By 1935, the recipe has diverged. While The Savoy Cocktail Book still contains the Maraschino, it now says 1 tablespoon of grapefruit juice, whereas the 1935 edition of the Waldorf Astoria now omits the Maraschino. Stir ingredients with ice for 30 seconds and strain into a cocktail glass. Garnish with a twist of grapefruit. 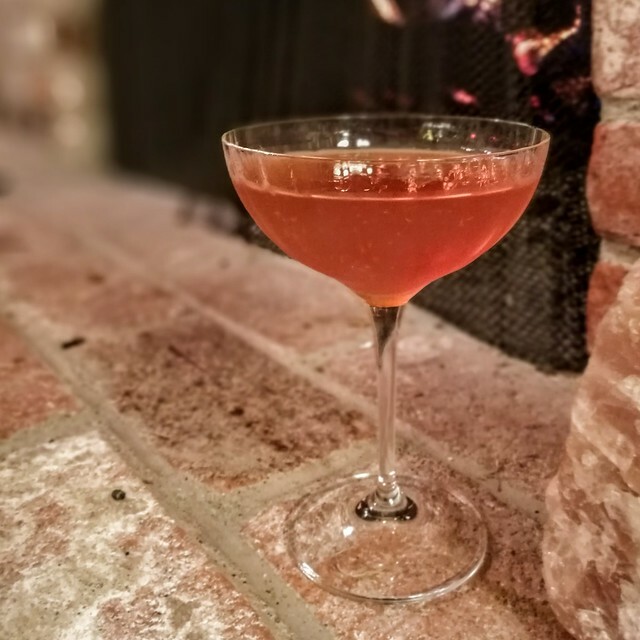 This pre-prohibition era cocktail is thoroughly enjoyable. It is definitely not overly sweet and the small amount of grapefruit juice adds another dimension to the drink. Both B & I are adding it to our regular rotation.